The handmade keychain multitool has four tools that help us deal with some simple tasks in daily life. Also like the cracked skull design? Let’s continue checking. This is a well-designed and durable multitool handcrafted by PicaroonTools, a small handicraft studio from Bulgaria. 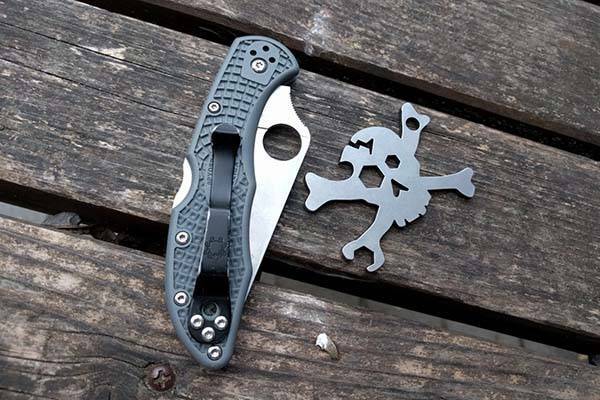 As we can see from the images, the multi-tool shows off a classic and eye-catching design of skull and crossbones, and its ultra compact form factor and a lanyard hole allow you to easily attach it to your keychain for easy to carry and access. The multitool is made of 4mm stainless steel for a solid construction, and optional brass and titanium are available to meet different personal styles. The compact multitool comes with multiple practical tools including bottle opener, screwdriver, 1/4, 3/16 & 5/16 Hex wrenches, and bit holder, so you can use it to deal with some daily tasks like opening bottles, fastening screws and more. In addition, the stainless steel skull adds some pretty cool fashion to your keychain. 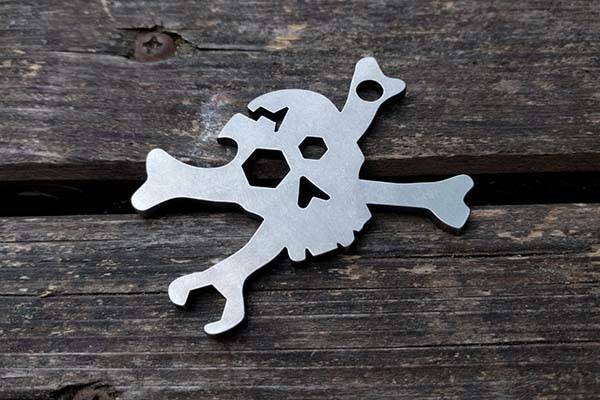 The cracked skull handmade keychain multitool is priced at 16.99 USD. If you’re interested, jump to Etsy for its more details.